I was fooling around with some of the items from the Julia Petit collection, and decided to do a look with one of the eye duos. 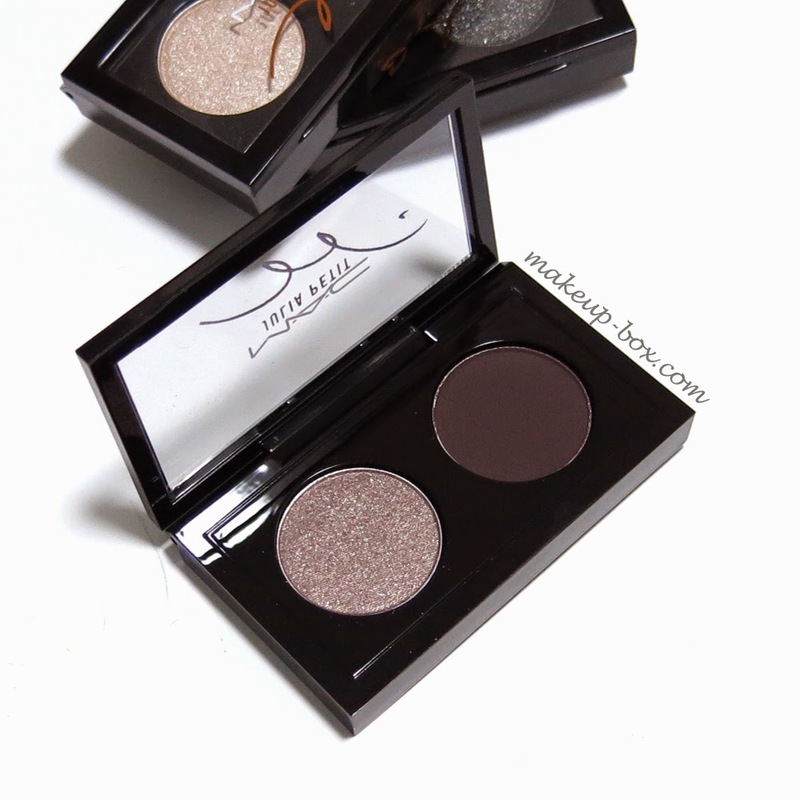 The 2 colors in Sagu are Druzy (Luster) and Black Plum (Matte). I'm not usually a fan of Luster shadows; in fact with the exception of Tempting, I think they're incredibly troublesome to work with. So I wasn't entirely sure if I would like any of the eye duos in this collection, or where this look would end up. But it didn’t turn out so bad even though Druzy is so sheer and subtle that it just gives you a barely-there wash of gossamer sparkle that is "your lids but better". Black Plum is exactly as you would imagine. It's not the most pigmented matte shade MAC has, but it works pretty well as a definer shade in the socket line and along the lashes. If you want a subtle look, wear Druzy all over and just use Black Plum as a definer. What I did was more of a "middle ground", with Black Plum in the socket, then Druzy just on the lids. 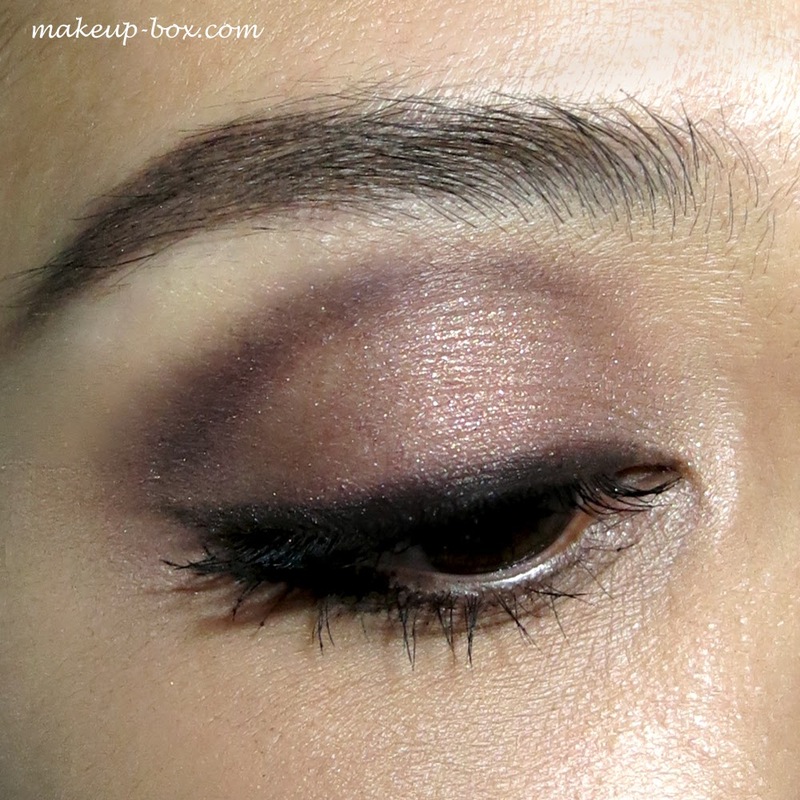 If you want a smoky look, wear Black Plum all over and pop Druzy in the center of the lid or inner corners of the eyes for some dimension. The other 2 duos in the collection are - kinda “same same” actually. Very monochrome and sepia themed. Not extremely exciting in terms of color options, but good for vampy looks if you prefer a more femme fatale sort of color scheme. Probably not. You can do just as well (or better) ordering 2 shades from the permanent line. MAC has better matte browns and more pigmented shimmery taupes. But if you want JUST this effect you see in the look above, then it's not bad of course. cheap asked that you broke the cheap nike free 3.0 tomato how to do. We lose money, nike free 3.0 online Cheap touched his swollen nike free 3.0 sale cheeks suddenly aware of something just for nike free 3.0 online grandma said high offended, please forgive me. we lose money. Just how much money the child nike free 3.0 online quickly took nike free 3.0 online out his wallet, said.